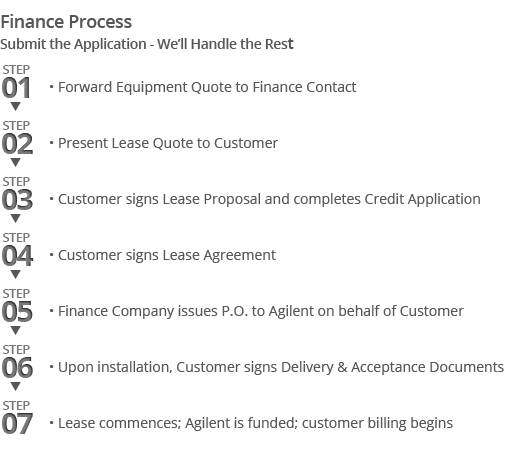 K'(Prime) Technologies offers a full range of rental and lease options on Agilent Technologies instruments. Our goal is to ensure that each instrument is performing at, or above market conditions and is leased by satisfied customers. Our financing professionals have the experience to deliver solutions geared to specific needs for your laboratory solutions. Suitable for meeting immediate needs for emergency projects. For any common instrument configuration, we can deliver and install in one week or less. Our short-term rentals can be from 2 - 6 months. Have access to the use of equipment to generate income or work on your project while waiting for the capital budget. Our rental-with-equity is designed to have low monthly payments with high equity on each payment. Equity from each payment is accumulated toward the purchase when the capital budget is approved. Pay for only a portion of the cost and use an instrument when it is new. Return the instrument to us after 36 - 60 months and we will replace it with a newer one for just about the same cost. Service contracts can also be built into the monthly payments. Experience low cost for long-term usage without the responsibility of high cost of ownership. Fixed low monthly payments for long term use, from 24 - 60 months, with an option to return or purchase equipment at the end of the term. This program is designed to have a low monthly payment and high residual value on the instrument. Simple! Quick! No impact on your current borrowing power from the banks! This program is simple. Pay the monthly payment for 12 - 60 months terms and buyout the instrument for 10% of the original cost. Your credit is approved in most cases. 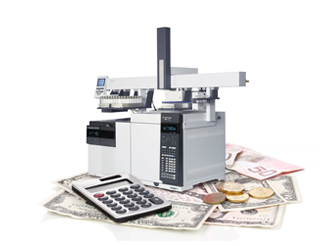 Let K'(Prime) be your source for laboratory equipment financing today!